One of my favorite products out of those I tried, this tinted SPF moisturizer provides me with excellent medium coverage (though it may only provide you with light coverage if you have a lot of skin concerns) and a dewy finish without looking greasy (I used to get a “Did you run to work” comment from a coworker whenever I wore too much skincare + super dewy BB cream). The lightest shade is still a little too dark for my pale not-yet-seen-the-summer-sun skin but I imagine the shade will work better come summer. It’s super clean so I feel confident wearing this everyday all day and not worrying that it will worsen my skin with continued use. I add a little bit of Earthwise Beauty’s Farizad’s Veil SPF powder for extra sun protection and to mattify the product if I’ve got a lot of skincare underneath. As for lasting power, it wears beautifully all day and starts to come apart by late afternoon early evening. This was my first time trying a green liquid concealer and it works so well for my dry skin. 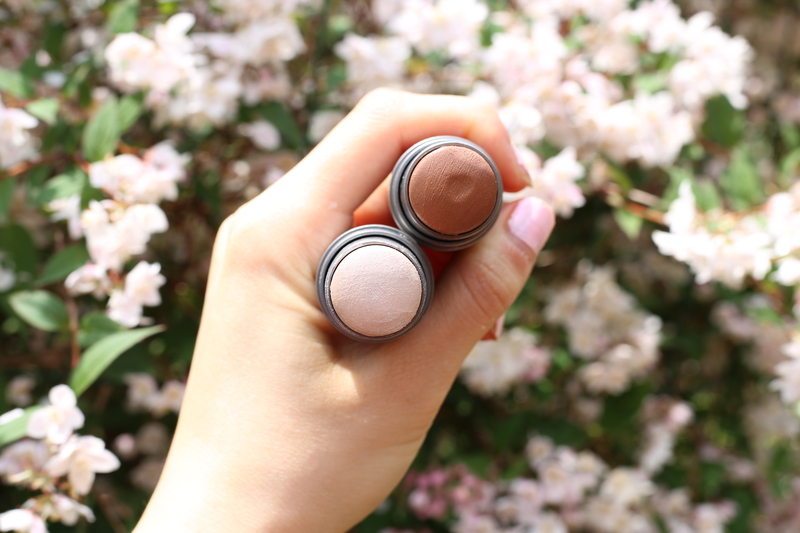 The lightest shade looks completely natural with my skin tone, spreads and blends so easily and lasts pretty much the whole day (in an indoor setting- when I’m having an active outdoor day it fades). When I’m not wearing any face product, a ti amount of this around my nose and undereyes already makes my face look well put together. It’s a very moisturizing product that goes on smoothly and sets well- fantastic for something that doesn’t contain dimethicone. 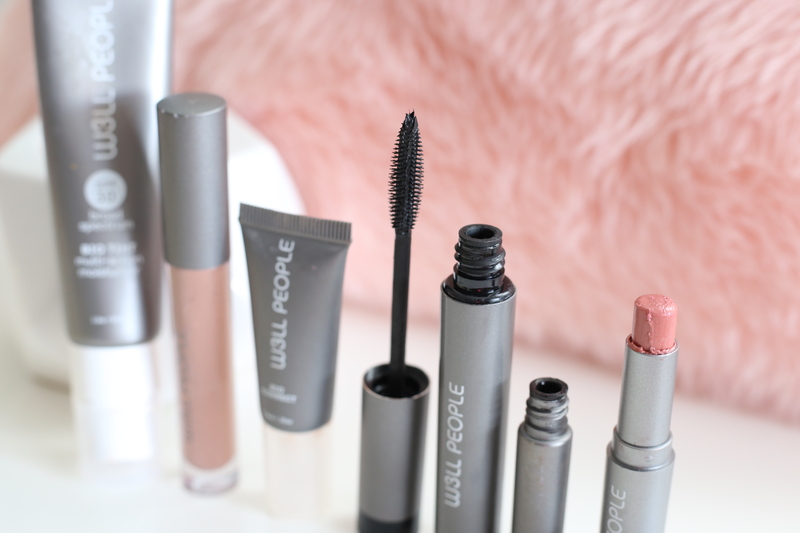 I’m so glad that I got to try this mascara, because this is a category that is super tough for thin barely there lashes. Almost nothing works – especially not the rubber stubby kinds. But for some reason, this stubby rubber bristled mascara works really well with my lashes. The formula is wet and goes on thickly, dramatically amplifying volume and length after about 3 coats. I need all the coats. Its downfall is that it smudges so I need to be sure to check the damage in the middle of the day and wipe it off with a Q tip. I thought I preferred dry formulas but for some reason this super wet one works very well for me. This is made with nourishing ingredients like Organic Rosemary and Eyebright and has a very wet formula so you need to be sure to let it dry for 10-20 seconds or it smudges. It’s got a short wand but it would be even better if the handle reached the applicator tip more so that you could apply with better precision. The product stays put all day though it will fade to a lighter shade by end day. 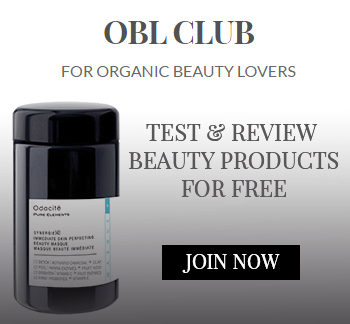 Ingredients: Water, Iron Oxides (CI 77499), Brassica Campestris/Aleurites Fordi Oil Copolymer, glyceryl Oleate Citrate, Glycerin, Methyl Dihydroabietate, Sodium Cocoyl Glutamate, Cystine, Laurel Arginine, Bentonite Clay, Lactobacillue Ferment, Caprylyl Glycol, Caprylic/Capric Triglyceride, Xanthum Gum, Caprylhydroxamic, Acid, Aloe Barbadensis Leaf Juice*, Tocopherol (Natural Vitamin E), Rosmarinus Officials (Rosemary) Leaf Extract*, Euphrasia Officianalis Extract*, Leuconostoc Ferment Filtrate. This is a product I never hear about and I feel like I should be because I was completely impressed. This product deserves way more hype, so here I am to give it some. Neither a lipstick nor tinted lip balm, it’s somewhere in between while providing the glossy shine of a lip gloss. A similar product I have tried that is also a lipstick-balm hybrid is the Luk Beautifood products, but those are a little drier and don’t provide the same shine effect. I haven’t experienced a lip product that gives the effect that this one does, and I only wish there were more shades. True to its name, it’s very buttery and emollient and though the brand describes it as giving a subtle boost of color, I found that it gives quite a bit of pigment- at least much more than a regular tinted lip balm. Ingredients: Castor Isostearate Succinate, Acacia Decurrens/Jojoba/Sunflower Seed Wax/ Polyglyceryl-Esters, Tribehenin, Oleic/linoleic/linolenic Polyglycerides, Euphorbia Cerifera (Candelilla) Wax*, Simmondsia Chinensis (Jojoba) Oil*, Helianthus Annuus (Sunflower) Seed Oil*, Zinc oxide, Rubus Idaeus (Red Raspberry) Seed Oil*, Daucus Carota Sativa (Carrot) Seed Oil*, Mixed Tocopherols, Camellia Sinensis Leaf Extract*, Mentha Spicata*, Vanilla Planifolia Fruit (or) Vanilla Tahitensis Fruit*, (+/- Iron Oxide [CI 77489, CI 77491, CI 77492, CI 77499, CI 17200, CI 15850, CI 77742, CI 77019]). I actually prefer this foundation stick to the Vapour Organic Beauty one. The formulation of this is more sophisticated and goes on smooth and doesn’t feel gritty, heavy or overly creamy. It gives a nice satin finish, but it’s downfall is that on some days it starts to separate and clump, settling into fine lines by the end day. Properly priming the face is important when using this, which is why I like liquid foundations over cream foundations. First off I’m not a big cream bronzer fan even though I have dry skin. 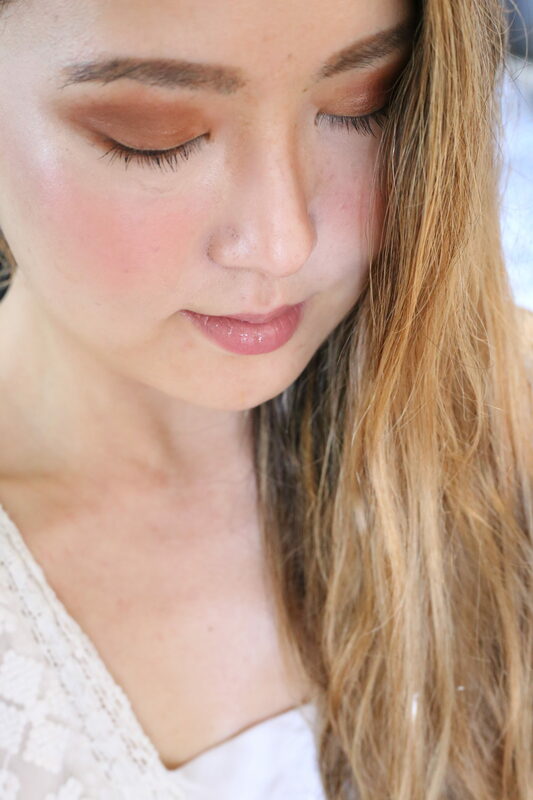 I feel like powders look more natural and are easier to blend. One swipe of this deep deep cocoa shade gives a ton of product and requires a lot of blending because it is SO dark. Once blended properly it does give a natural warmed bronze look. 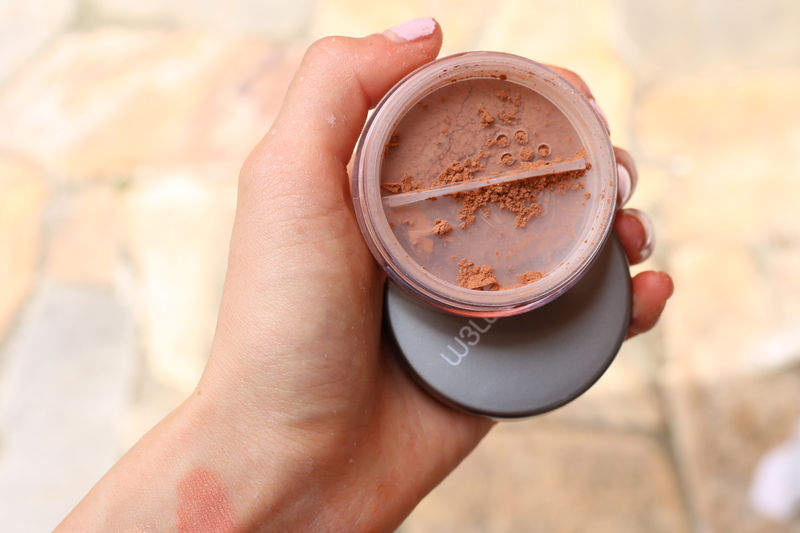 Unlike the bronzer stick this product goes on subtly and has a drier finish. It gives a silver/white kind of highlight that I don’t feel looks too natural. I feel like this gives the same effect as the rms Living Luminizer (which I’m not a fan of but if you are this is an affordable alternative). Not a huge fan of this highlighter. 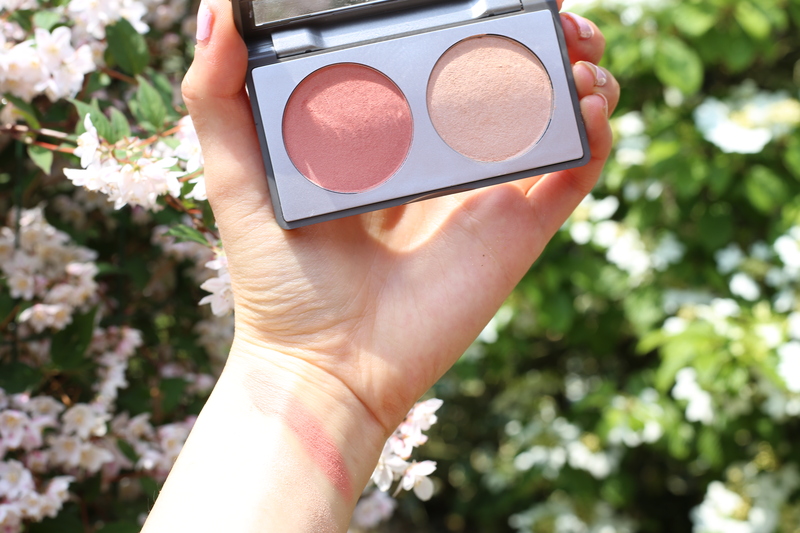 This powder duo is a highlighter + blush though you can use it as eyeshadows as well. The highlighter is beautiful and has peach-beige undertones to brighten up the entire face with just a hint of youthful color. 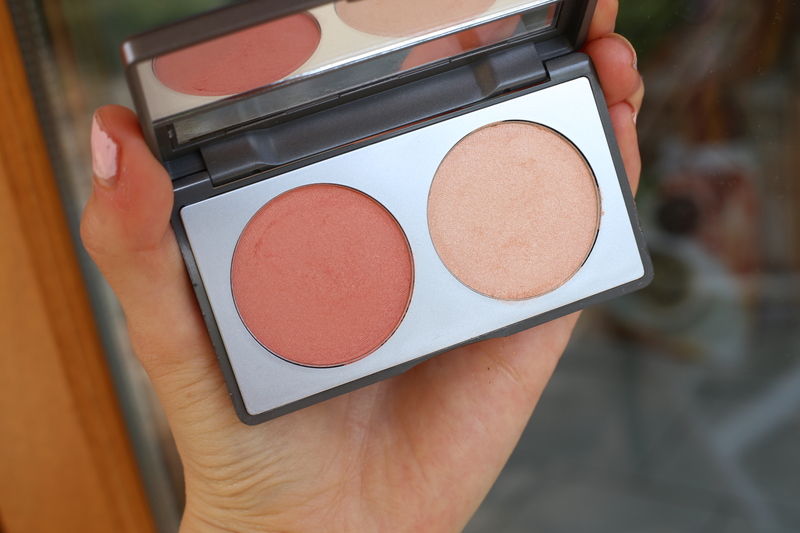 The blush is a soft peach shade and adds a natural looking flush to cheeks. Please note it’s a very soft powder, isn’t super pigmented and will start to fade after a few hours. 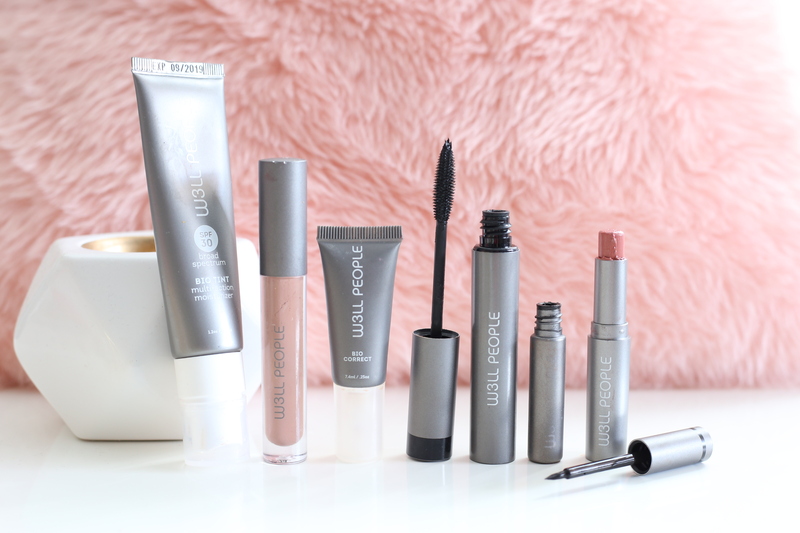 The formula impressively contains a bio active lip plumping system and based on peptide technology and volumizing lip crystals and while I don’t eperience major lip plumping action (maybe a tiny bit?) this lip gloss does give major shine. I do find application a bit akward because the tip is flexible, but other than that I love the cinnamon spicy scent and boost of hydration. 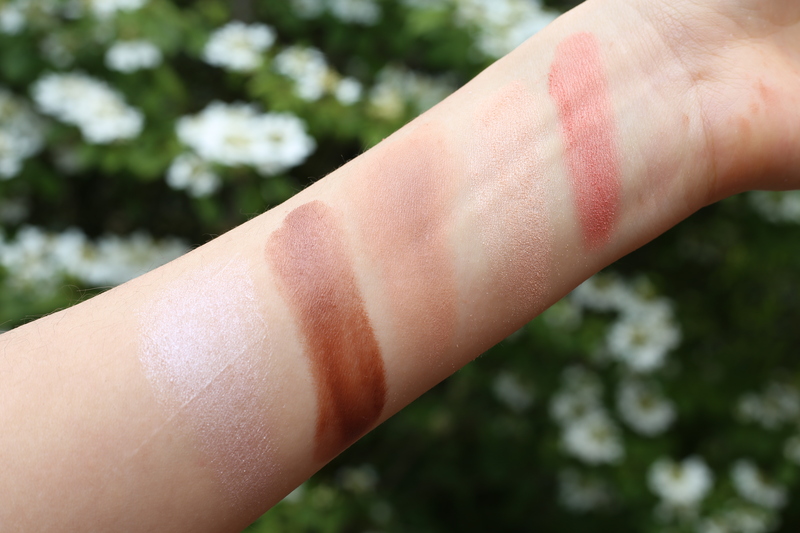 This is a much lighter shade than the Bronzing Stick and a bit warmer. The soft powder applies and blends well no complaints there- I am just not a fan of loose powders due to the mess and prefer cooler shades to warmer shades. 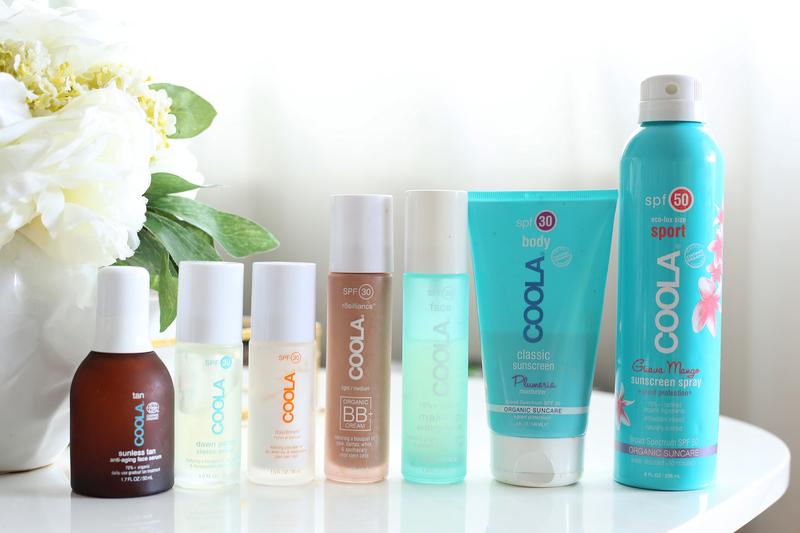 COOLA is one of my go-to sunscreen brands. 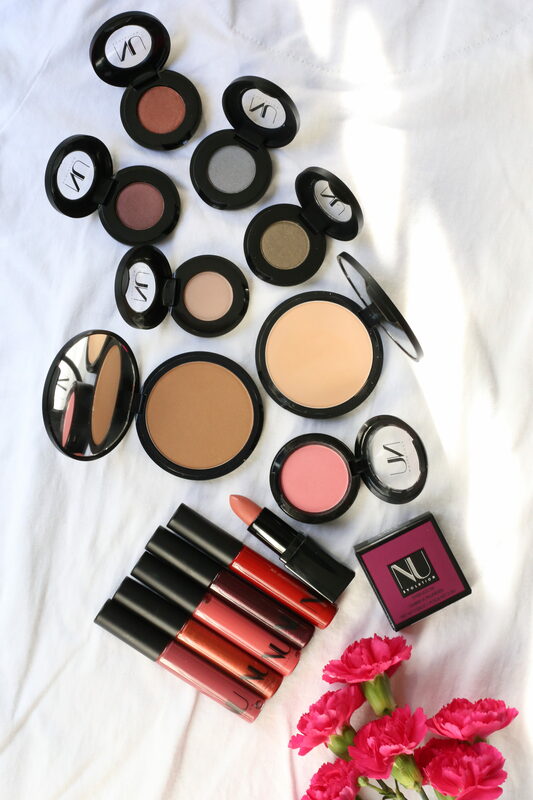 I take their products on all my travels and use their products on an everyday basis. As a staunch believer in SPF 365 days a year, rain or shine, clouds or sun, indoors or outdoors there’s no such thing as having too many sunscreen products on hand for me. 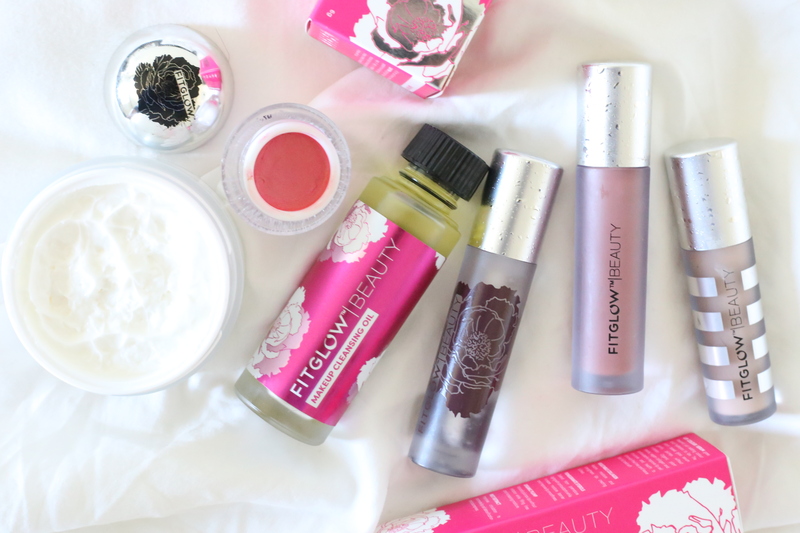 For full disclosure this is not a 100% organic brand but they use as many ingredients as possible that are natural, organic, sustainable, a Farm to Face sourcing philosophy and do NOT use parabens, paba and phthalates. Plus, they formulate with Plant Protection®, which allows them to achieve clinically tested, broad spectrum and antioxidant-rich protection while using fewer traditional actives. 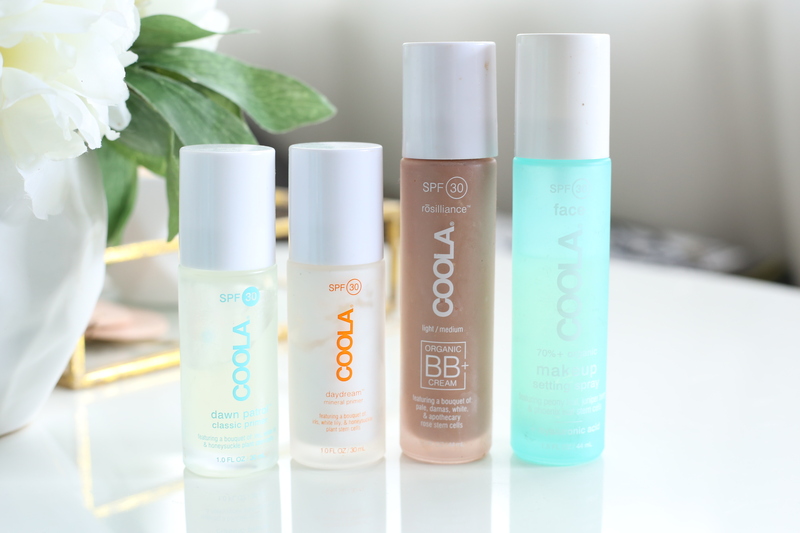 I’ll start with the face products first which are packaged in these luxurious glass bottles. This is one of their newest products and it’s very similar to the Daydream Primer which I regularly stock up on (I previously reviewed this product & the Rosilliance BB Cream here) but it’s completely transparent so it’ll suit all skin shades. It’s velvety smooth and absorbs seamlessly, instantly making your skin baby soft. It has a subtle and natural honesuckle scent whereas the Daydream one has a more marshmallow scent and contains Iris, White Lily & Honeysuckle stem cells. I highly recommend you give Dawn Patrol a try if you love the Daydream Primer or you don’t want a white cast as the Daydream Primer is more suited to lighter skin tones. This product is such a lifesaver and I haven’t lived without it for the past few years. When I’m out and about with a face of makeup on and need to be reapplying sunscreen every 2 hours I don’t want to ruin all my makeup by rubbing sunscreen. This product solves that. I spray about 5 times all over my face while keeping my eyes closed (very important as it’ll burn your eyes) and voila I stay protected for a few more hours. I don’t necessarily use it to set my makeup but more to apply protection to my skin. 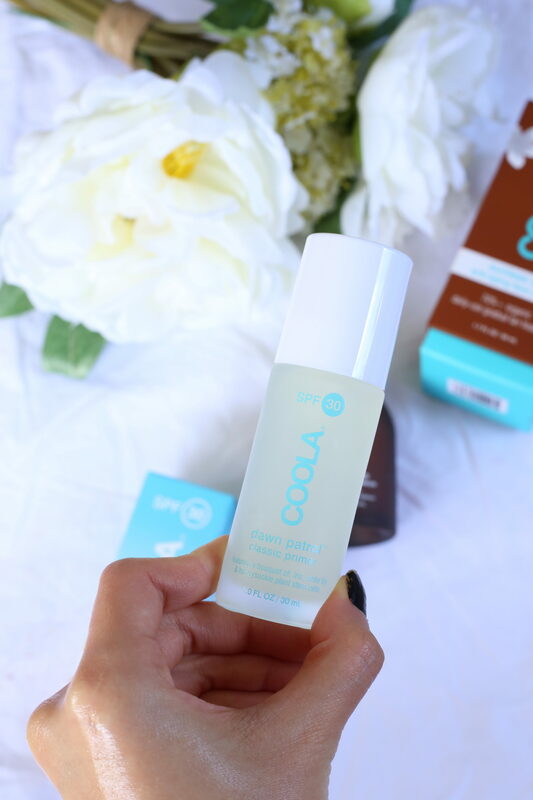 This is an amazing BB Cream with SPF option for those of you looking. It’s velvety, dries matte but still leaves my skin feeling soft and moisturized even though I have dry skin, and has a natural & neutral beige tint that would work for most light and possibly tan skin tones. It also contains ingredients like Cucumber Fruit Extract, Evening Primrose Oil, Linseed Seed Oil, Rose Hip Oil & Shea Butter to fight free radicals, leave skin hydrated and retain moisture. There’s also the Cucumber version that has no tint but basically feels like the exact same formula with a light cucumber scent. 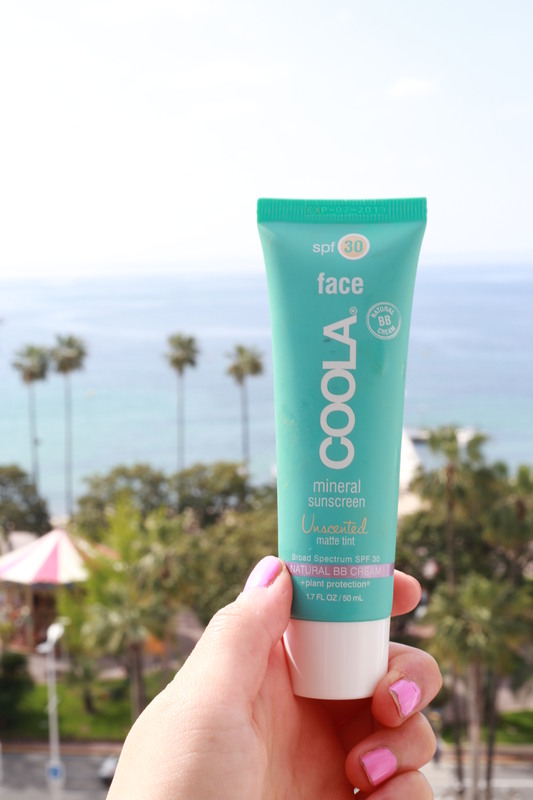 I prefer these MUCH more to their Face Sport White Tea SPF 50 product which is very fluid/runny and does not absorb well into my skin. This is a very lightweight and runny sunscreen made with 70%+ certified organic ingredients, and is formulated with patented Oleosome technology which boost the effectiveness of UVA/UVB filters. It’s very much a body moisturizer infused with SPF as it contains free radical fighting Organic Rose Hip Oil to deliver essential Fatty Acids, Minerals and Vitamin C. Organic Evening Primrose, which is rich in Omegas 3 and 6, calms, tones, hydrates and aids in reducing redness, and organic Shea Butter, which is high in Vitamins A and F, smoothes, softens and balances skin. I adore the plumeria scent which reminds me so much of Hawaii. This is a jumbo sized sunscreen spray that will last an entire long vacation and be enough for more than 2 people I’m sure. It goes on clear and requires very little to no rubbing in. I found this particularly useful during my island vacation trips as I had to protect my entire body plus reapply every few hours or after swimming plus offer some to my travel partner. I’ve run out of sunscreen before on trips and it was not pleasant having to purchase toxic chemical sunscreen from the local supermarket. The guava mango smells delicious and tropical and like their other products contains 70% organic ingredients. This is a new launch that delivers a gradual tans lasting up to 3 days and contains 70%+ organic ingredients including a blend of Argan Oil, Vitamin C, Hyaluronic Acid and plant stem cell cultures. Please note it does NOT provide sun protection. It takes about 2-4 hours for the tan to develop or you can mix a few drops into your facial moisturizer for a more gradual tan. 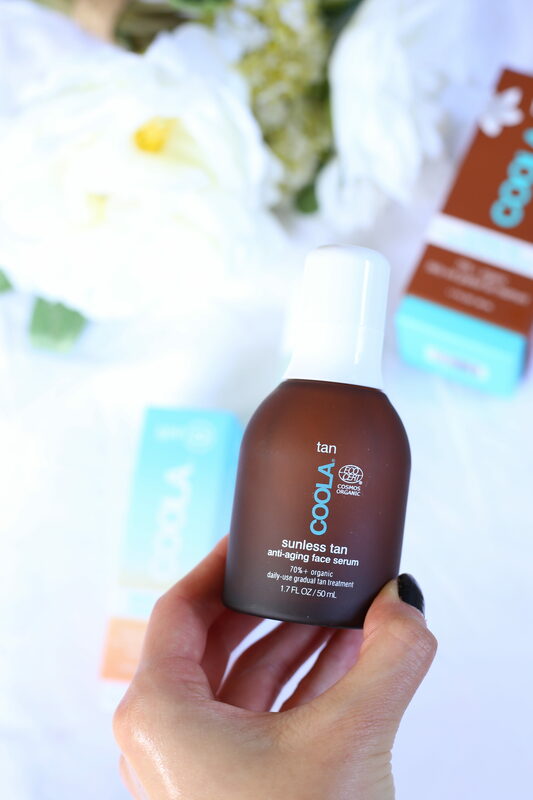 I’ll be updating this post with my thoughts on the tan it provides in the near future.